Balcony To Overlook Community Scenery.Full Daylight Basement.Hoa Due Includes Yard Maintenance.Great Location Near Jc High School, Min To 141, Restaurants & Shopping. MLS#8561917. Leaders Realty Usa Inc.
Executive Townhome Located In Manned & Gated Northgate At Ellard.This Chattahoochee River Community, With Million Dollar Homes, Boasts Top Amenities Including Clubhouse, Pool, Tennis, Park, Pet Walk, Private Walking Trails & Fitness Center.Meticulously Cared For Home With Open Plan Backs Up To Private Wooded Grounds & Features Quality Finishes Include Heavy Molding, Hardwoods,10 Ft Ceilings On Main, Coffered Fireside Family Room, Custom Sunroom, Gourmet Kitchen W Custom Cabinetry & Stone,Romantic Master W Fireside Sitting Room.Great Live/Work/Play Community. Don'T Miss This One! MLS#6534211. Re/Max Around Atlanta Realty. Superb Location,Walkable To N Point Mall,Big Creek Greenway,Verizon Amp And So Much More. MLS#6533934. Keller Williams Rlty, First Atlanta. To Much To List A Must See! ! MLS#8560174. Coldwell Banker Residential Br. Vantage Point - Recently Renovated Including, Updated Kitchen And Baths, Custom Stair Case, Upgraded Lighting Packages, Custom Fireplace, With Private Backyard. MLS#6532664. Pend Realty, Llc..
Woodland At Webb Bridge - This Complex Is Perfectly Situated Next To Ga 400, Old Milton Parkway, And Steps Away From All The Shopping And Restaurants You Could Ask For. MLS#6531683. Realty One Group Edge. Minutes From Avalon & City Center + Swim/Tennis & Nature Trails In Alpharettas Premier Gated Community! MLS#6531262. Berkshire Hathaway Homeservices Georgia Properties. Riverside Summit - Ready For You To Call This Home! MLS#6530984. Keller Williams Realty Intown Atl. Enclave At Milton Park - Community Features Dog Park & Plenty Of Green Space. MLS#6530971. Village Realty. Avalon Is An Exciting Community With Its Own Upscale Shopping, Restaurants, Hotel, And Regal Theaters, Everything Within Walking Distance. MLS#6529678. Van Purser And Associates, Llc..
Park Creek - Wooded, Private Back Yard Overlooks Fire Pit And Greenbelt. Swim/Tennis MLS#8557408. Re/Max Town & Country. Model Of Similar Plan Ready To View. MLS#6528996. Mark Spain Real Estate. 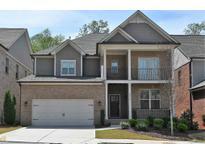 3-Story Jasper Is A Must See W/Lovely Front Yard. Elevator Installed! MLS#6527843. The Providence Group Realty, Llc..
A Must See End Unit With Added Windows For Sunlight & Lovely Front Yard. MLS#6527839. The Providence Group Realty, Llc..
3-Story Jasper Is A Must See W/Lovely Front Yard. MLS#6527842. The Providence Group Realty, Llc..
3-Story Jasper Is A Must See W/Lovely Front Yard. MLS#6527844. The Providence Group Realty, Llc..
Rivermont - No Need To Carry Groceries Down Or Trash Up The Stairs!.Beautiful Park-Like View. MLS#6527590. Palmerhouse Properties. The Upper Floor Also Features Two Additional Bedrooms With Spacious Full Bathrooms And Laundry Room. MLS#6526824. Custom Realty Group, Llc.. The Second Floor Also Features Two Additional Bedrooms With Full Bathrooms And Large Laundry Room. MLS#6526578. Custom Realty Group, Llc.. The Upper Floor Also Features Two Additional Bedrooms With A Full Bathroom And Large Laundry Room. MLS#6526804. Custom Realty Group, Llc..
Arlington Pointe - Vaulted Master Bedroom Features Large Sitting Area, His/Her Walk-In Closets & Tiled Master Bath. Must See! MLS#6526114. Keller Williams North Atlanta. Model Of Similar Plan Ready To View. MLS#6526048. Mark Spain Real Estate. Model Of Similar Plan Ready To View. MLS#6526037. Mark Spain Real Estate. Aviary - Hurry To This One! It Will Not Last! MLS#8551436. Dawn Realtors.